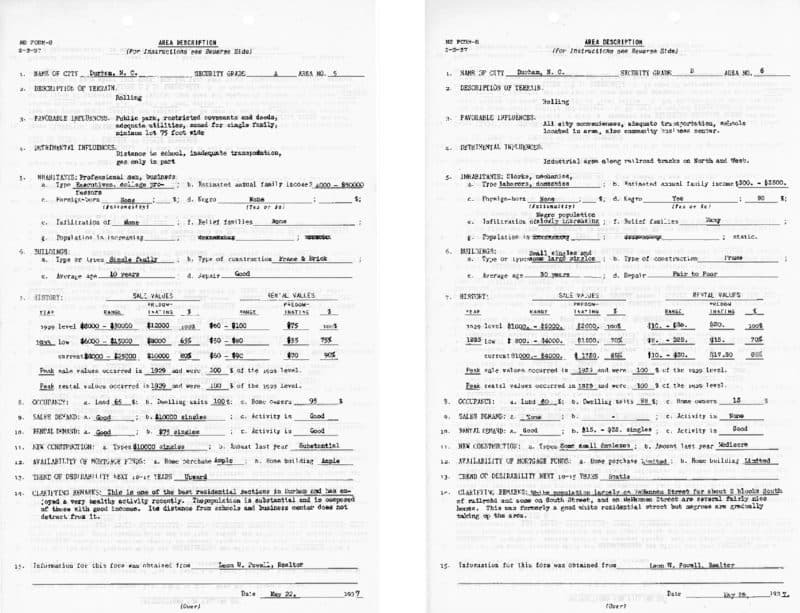 Following the Depression, federally insured mortgages  from the Federal Housing Administration (FHA) and  Veterans Administration (VA) made homeownership  possible for middle- and working-class white people. White policymakers believed that integrated and  majority-Black neighborhoods would decline in value, and  denied mortgage subsidies and insurance to homes in these  neighborhoods. Through the practice of “redlining,” less  than 2% of homes insured by the FHA nationally between  1946 and 1959 were available to people of color. The boundaries determined in the 1930s created patterns of unequal public and private investment that still impact Durham neighborhoods today. 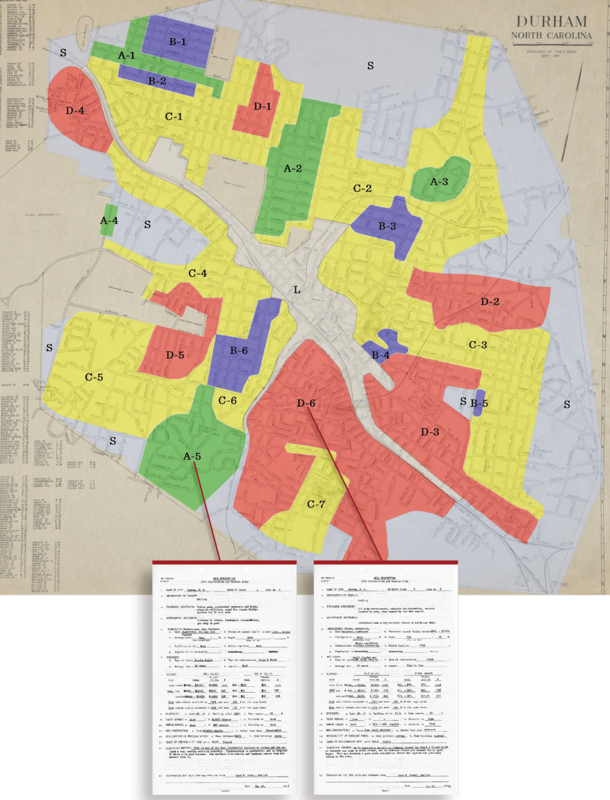 In 1937, the federal Home Owners’ Loan Corporation (HOLC) created a color-coded map of Durham, rating neighborhoods by level of risk for lending. Green was the safest, followed by blue, then yellow, then red as the riskiest. The presence of Black people, immigrants, and poor people of any race were considered the biggest risk factors. If you lived in one of the red areas, it was nearly impossible to get a federally insured mortgage.